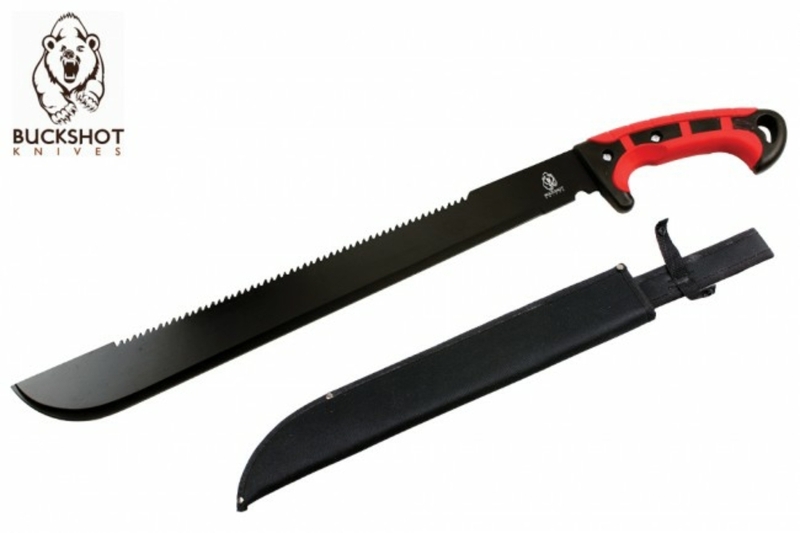 The Buckshot Knives Survivalist Machete is ready for that next Amazon trek or outdoor adventure. This is one rugged machete and essential essential piece of gear. The machete features an eighteen and three-eigths inch black finish blade with saw serratuions on the spine. The machete's handle is a two tone red and black ABS curved handle. This assists in retention when clearing brush from your path. Machete comes with nylon sheath.